Interested in taking a walk inside the future of energy? Here are four 360 virtual tours of our cutting-edge facilities at our Energy Centre, looking at renewable energy, stored energy, and efficiencies in heating and cooling. Can we run air-con and still be energy efficient? ‘Harmonious, stable and reliable’. While it may sound as though we’re describing a desirable dating profile, we’re actually referring to our ideal energy system and the importance of integrating and testing different sources to meet Australia’s evolving needs. Our researchers are hard at work at our Renewable Energy Integration Facility (REIF), demonstrating how electricity networks will work in the future and how we can most effectively renewable energy sources, like wind and solar, to support the grid. The REIF is state-of-the-art facility that lets us model smaller versions of the electricity grid using real-world conditions. We can then determine what the impacts of different energy sources will be, and how different storage options (like batteries) influence the way we use energy. While testing how a business may perform with 90% solar might be expensive and difficult in practice, we can do it with the flick of some switches. We can also disconnect from the grid to run tests and use our own power sources, like the solar we generate at our Newcastle Energy Centre. We can simulate different grids from across the world to study their nuances, and by using our solar simulators, we can mimic the conditions of a sunny day even if it’s cloudy and blowing a gale! By testing different energy sources, conditions and energy loads, we can determine how to best generate a stable electricity supply – all without the cost, inconvenience and disruption of testing in the real world. You can take a sneak peek into the REIF with our 360 virtual tour. We invite you to have a walk around and learn more about what we’re doing to ensure a secure energy future. To get the best out of your virtual visit, make sure you have your video viewing set to 4K and watch in full-screen mode. For more technical information, or if you would like to settle in and take your time having a look around, take a self-navigated tour or read more about the REIF. Our scientists love data, and it’s no different when looking at real-time energy use. With distributed energy generation all the rage, energy storage is an eagerly anticipated option when it comes to using and storing energy. For commercial use, whether it’s traditional lead-acid batteries or lithium-ion (like you find in your mobile phone), we’re researching ways to maximise battery performance while delivering reduced costs and better energy efficiency. Or in simpler terms, think of a car – it’s not just about what type of car it is, it’s about understanding its running costs, performance, longevity and handling. The SEIF is a real-life experiment that has 100 times the capacity of a residential storage system. This equates to nearly 1 megawatt hour of storage. By testing new technologies on our own site, we know first-hand how they work. We use batteries to store energy that we can utilise when our peak energy demand spikes – like when our staff are on site. This helps us manage our energy demand and reduces our energy costs. You can have a look around the SEIF with our 360 virtual tour to learn how we are doing this (don’t forget to have your video application set to 4K). The SEIF includes the UltraBattery (one of our own inventions) as well as lead-acid and lithium-ion batteries. We typically discharge our batteries in the afternoon when energy demand and the price of electricity is highest. We also use the stored energy in our batteries to support solar energy, such as when cloud cover affects our energy output. In the SEIF, we can capture how much electricity we are using on site and how much is being generated from renewable sources, like the solar PV we have installed on our office rooftops. Our self-navigated SEIF virtual tour is also a fantastic way to have a sticky beak and charge up your knowledge on how batteries are being used for a range of exciting applications. Our National Heating, Ventilation and Air-Conditioning (HVAC) Performance Test Facility. Did you know that Heating, Ventilation and Air-Conditioning (HVAC) accounts for up to 40% of building energy use and, for residential HVAC (including hot water), up to 50% emissions and 60% of electricity costs? That’s a lot of intensive energy activity and money flying out of your wallet, so imagine having a facility where you can test a range of different air-conditioning systems to work out how they perform and how to make them better. Well, wipe off that sweat because we can! Our National HVAC Performance Test Facility can evaluate how well air-conditioning systems work and how much energy they use. This helps industry improve the technology and helps consumers, manufacturers and government better understand the products. 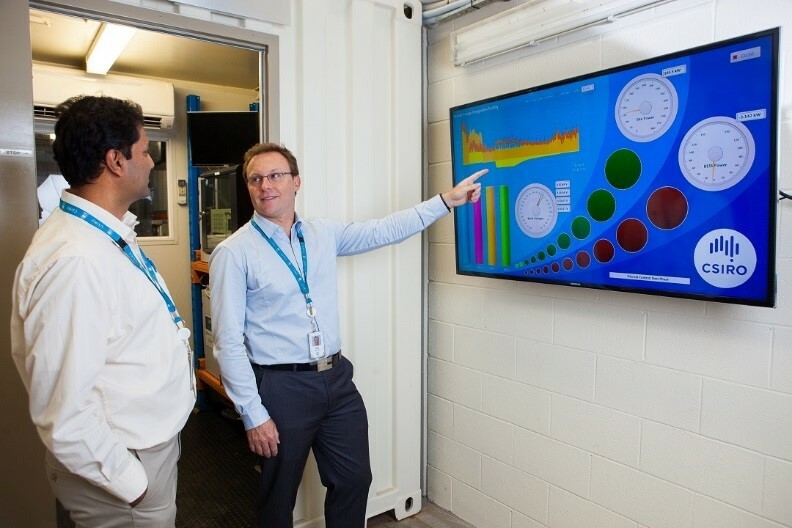 Take a step inside our facility with a 360 virtual tour to explore how we are maximising air-conditioning performance before it’s used in the field. Our facility can test conventional air-conditioning and new breakthrough technology like solar-powered systems. We have full control over the conditions so can mimic environments from across the globe to replicate the system’s performance as if it is operating in a real building or house. What a win for the manufacturer to test the performance of their product, and a confidence booster for the consumer buying the product! You can spend a bit more time exploring the facility with a self-navigated virtual tour. It’s very cool, in an air-conditioned way. Is it a spacecraft from outer space? No, it’s our Controlled Climate Test Facility. Did you know that air-conditioning and refrigeration in Australia consumes over 20% of all produced electricity and is responsible for around 50% of peak demand on the electricity system? No one can blame us for wanting to crank the air-con with temperatures hitting 40 degrees, but this increases our electricity bills and impacts the electricity grid. That’s why we are researching ways to develop how to make air-conditioning as energy efficient as possible. 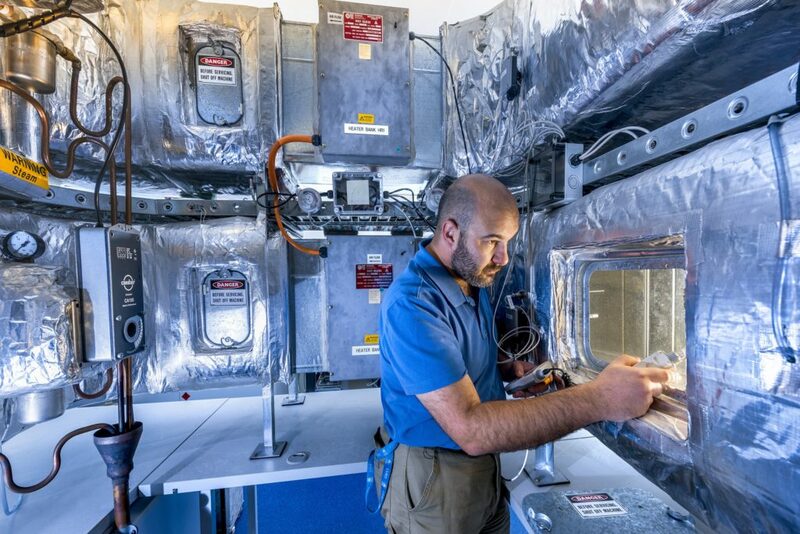 Our Controlled Climate Test Facility (CCTF) may look like a spaceship with all of its silver ducts and equipment but it can test the performance of air-conditioning components under different climatic conditions to help improve the energy efficiency of residential and commercial air-conditioning systems. This means we can mimic the weather and temperature conditions of anywhere in the world, whether it be downtown Melbourne or the Sahara Desert. We use two air streams to control the exact temperature and humidity – like hot and dry or hot and humid. 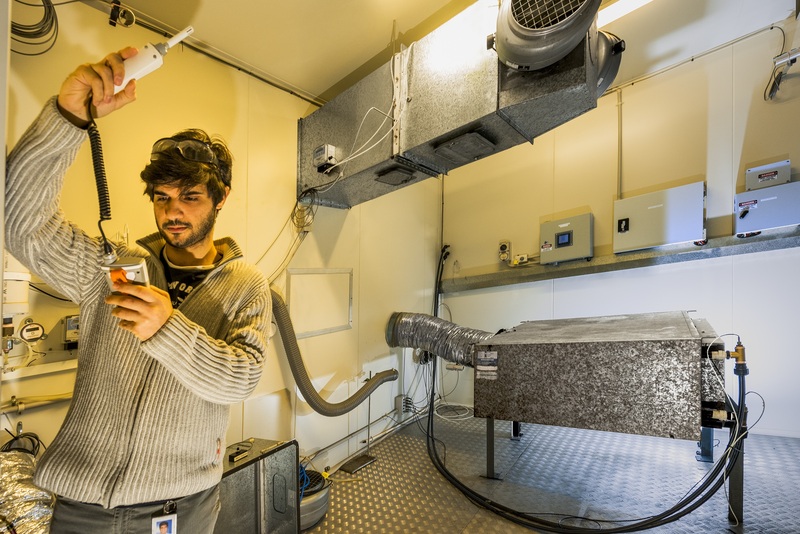 We use these air streams to test new breakthrough components like solar cooling technology or commercial evaporative coolers, heat exchangers and desiccant wheels, to determine how they perform in a range of climatic conditions. This research isn’t limited to the lab – it is being used in the real world including Stockland Wendouree in Victoria and an education building in Hamilton, NSW. 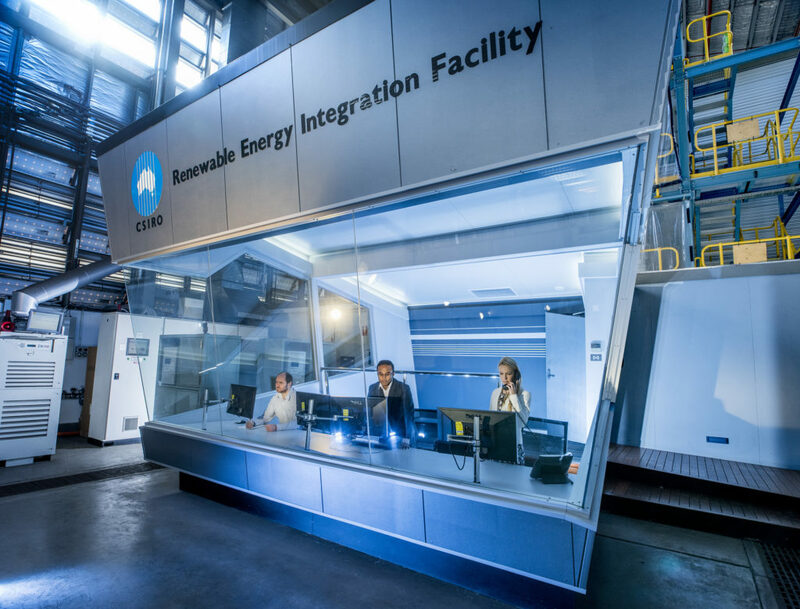 You can learn more with a 360 virtual tour of our CCTF lab to see how we push different technologies to the limit to see what works best and how to make improvements to help reduce energy use and costs. For your viewing pleasure, make sure your video viewing platform is set to 4K. You can also take a self-navigated virtual tour of the CCTF to get more technical information on the components we test and how we are working with our partners to help deliver a lower emissions future. Interested in learning more about our work in energy facilities? Great to see CSIRO doing this critical Energy research – especially with all the issues we have at the moment with fossil fuels. Still, why isn’t Australia a World Leader in this field? – especially with active real-world systems.